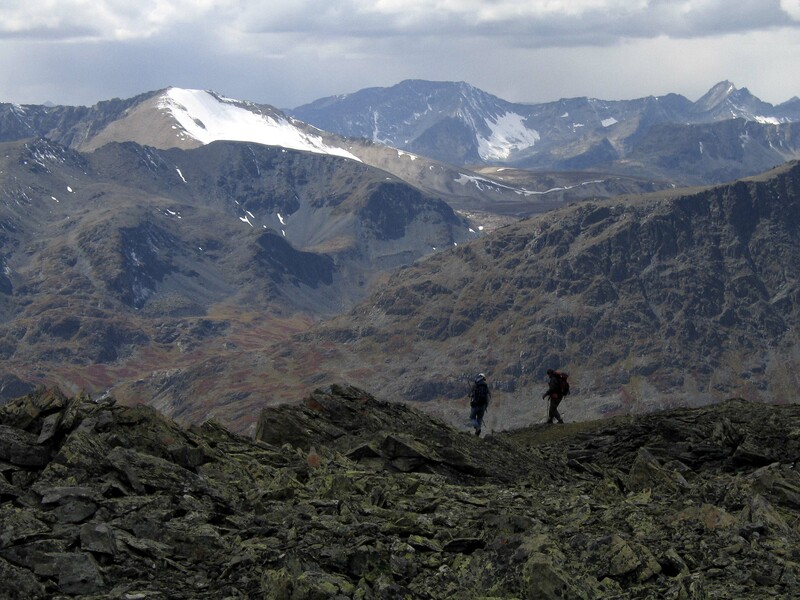 The seven of the ten tallest mountains in Mongolia can be found in Bayan-Oglii. The tallest mountain is the snow capped-center of the Tavan Bogd Mountains (“Five Saints”), and 3rd and 5th tallest being the Tsambagarav Mountains. Most of these mountains can only be climbed by experienced climbers with special equipment, though Malchin Uul at 4025 m (the shortest of the Tavan Bogd) and several lesser peaks (3500 to 4000 m) can be hiked. The best time to hike is July to September when the snow has melted, temperature is warmer, and days are long. In addition several glaciers around Bayan-Olgii including the 23 sq km Pontuninii Glacier can be hiked. 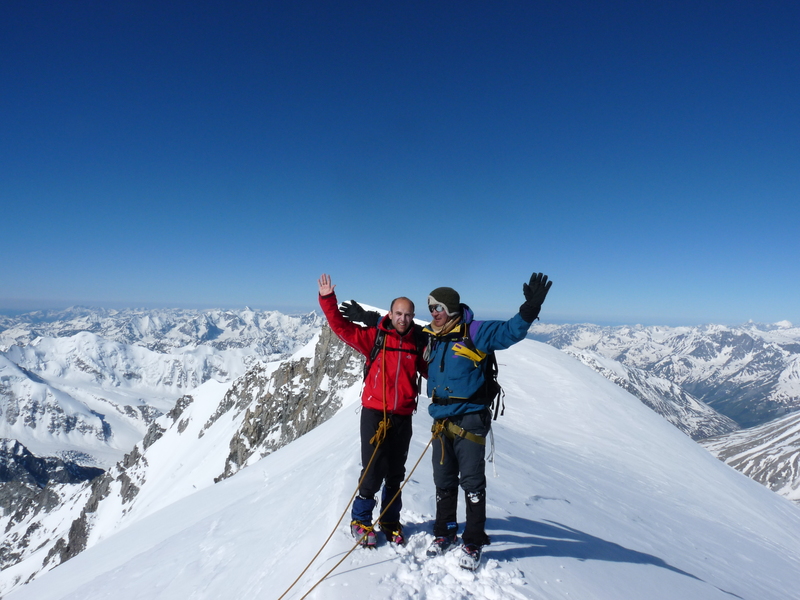 All tour guides offer climbs on Malchin Uul and Pontuninii Glacier, though only a few have the equipment to attempt the bigger mountains. Spring and summer snowmelt on the wild rivers of Bayan-Olgii provides great rafting. There are few large rapids on the rivers, though the water is usually fast flowing. The river trips are on inflatable rafts with an experienced guide. A van carrying food and camping gear will be near by on the shore. The lack of human development and sparse population makes rafting in Bayan-Olgii a natural and serene experience. This sport is relatively new to Bayan-Olgii with the first ski trip only in 2003. 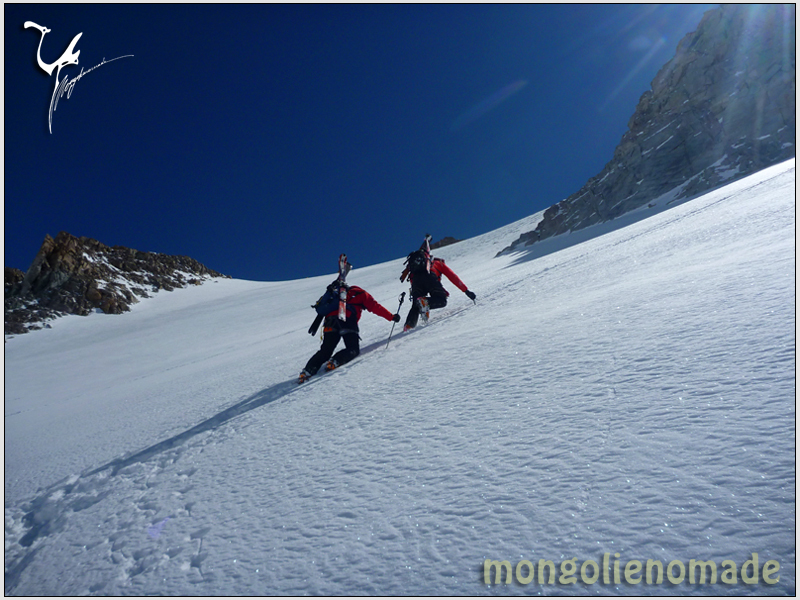 In each of the last few years there has been at least one group skiing on the Tavan Bogd Mountains with as many as 3 tours planned in Spring 2013. These are backcountry ski runs for experienced skiers only. The mountains receive heavy snow in April and May. The tour takes camels and horses from the park entrance to the Tavan Bogd Mountains Base Camp (16 km) due to deep snow. From there, they hike up the mountains and ski down over several days. The giant bowl shape of the mountains mean that skiing down any point brings you right back to the base camp. At least one tour also goes to Tsambagarav Mountains. Contact Blue Wolf Travel for more information.